Are you ready for your next vacation? 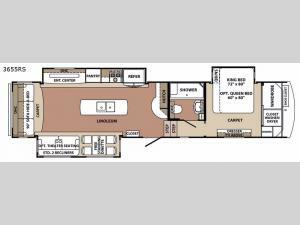 Well, come step inside the 3655RS Blue Ridge fifth wheel by Forest River and find that this model has everything that you need, from triple slide outs to a kitchen island, you can camp in comfort and style. 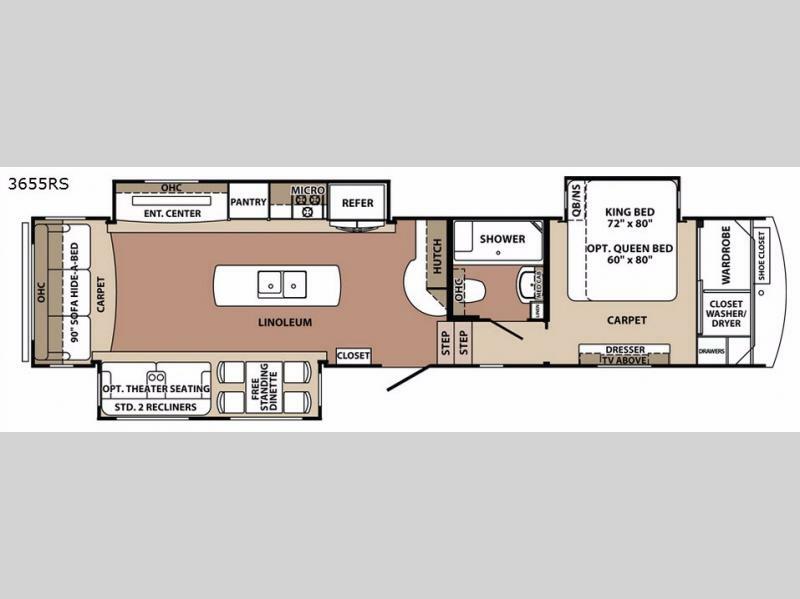 You will have plenty of seating options between the two recliners, free standing dinette, and hide-a-bed sofa which can be converted into an extra sleeping space too. In the front bedroom, there is a premium innerspring mattress for the king size bed or you can choose the queen size bed with nightstands on either side. Keep the nights rolling underneath the 19' electric awning with LED lights.